1. 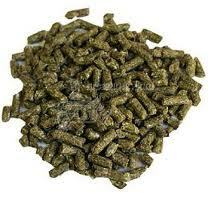 Pellets daily, Hay at least bi-weekly. 3. Clean housing - housing large enough for the rabbit to turn, hop, and stretch out comfortably and high enough that your rabbit can sit up and look around. DO check out my links on Feeding, Housing, Breeding your rabbit. Here's an interesting site with lots of information on it. The Nature Trail. A website Rabbit Smarties, which helps people learn about bunnies. The British Rabbit Council. Information on caring for rabbits, using British standards. AZ Rabbitry, useful information. Information on keeping bunnies. NOTE: focuses on raising rabbits for meat production. Do know that I do my best to get my rabbits used to having their feet handled. I tend not to trim them until they are 3 months old. Then for mini rex every 6 weeks and for all others every 8. Some folks do them more often then that, but this is what I find works for me. Does get their nails trimmed before they are due to give birth as well. Fingernail clippers work just fine until they hit around 6 months when you'll want to get some good side clippers from your local pet store. I found mine at Pet Smart for $11. About.com has two pages. Here and here. Do rabbits need it? Personally I find that rabbits are highly individualistic. Some like company of other rabbits, some do not. In my rabbitry I have three does that like other rabbits. If they cannot see or smell or be with another rabbit they get very lonely and do not eat or do well. I have others that like to be caged next to certain other rabbits. And others that really don't care. I have one that strongly dislikes being near other rabbits at all. I do my best to get to know my babies. If I think they would be best served having a cage mate, then that's what I'll recommend, but if they seem much like most of my rabbits and will like their own space, then don't feel pressured to buy two of them. I'll sell you what you want, but do take my experience for what it is. I've raised these littles. I know their parents. I've handled them daily. Rabbits can and will do just fine on their own. This is assuming that you spend time with them. That you let them out to interact with the world around them. That you don't just stick them in a cage and say YEP, I've got a rabbit! Spend time with them. Let them be their own rabbity selves. If you do get two....Get two of the same gender. Plan if you get boys that you might have to neuter them before they mature (usually between 4-6 months) and keep those boys together ALL THE TIME. Do know that girls once they mature can say "HEY! GIVE ME MY OWN SPACE!" They will do so by "going after" each other. Easily solved by adding a cage divider OR increasing the amount of room they have and giving them some toys to play with, things to climb on and so forth. Rabbits LOVE space. They need to feel safe and secure. They need it to give each other lots of room so they don't feel like they are being crowded. If you have a dominant female rabbit at home carefully oh so carefully consider what type of companion you'd like to offer her. Preferrably get a small buck. Neuter him (or spay her) and let them run together three weeks after surgery has been completed. For older does...boys work better, because once that little rabbit starts to mature girls can have (not necessarily will have, but can have issues) with each other about needing their own digs. OR once again...increase that cage size and add some toys. Space makes a HUGE world of difference. The more room the merrier all will be. Do know that if you buy a bunny from me (or two) and need to rehome it for whatever reason, I will take that bunny back. I want my bunnies going to pet homes (as much as possible) and have been fairly successful at rehoming adult bunnies. So make a wise decision. Get a nice bunny or two. :) And know that one way or the other your bunny will have a good home. Giving your Rabbit a bath. dry bath or wet bath. I often hear concerns from people about rabbits growling at them or nipping them or whatever. Makes me wonder ... what are they doing to their rabbits? Not the growlers...but the nipping and scratching at them? Some rabbits are just growlers... just like some people are rather growly. Being able to speak and understand Rabbit requires that you learn to think at least a little like a rabbit. Your rabbit will never learn to understand many of the mysterious things you do ("Why the heck did she just change into three different outfits before leaving for work? "), but you can certainly understand why rabbits do what they do. You'll be pretty close to the truth if you think of rabbits as being from a society very different from your own, with different priorities, goals, important lessons, and gestures. Learning Rabbit is in some ways like human cultural studies, but of course the subject individuals have much longer ears. Teach your rabbit NOT to bite! click here for an helpful article. World Rabbit Science Journal. World Rabbit Science is the official journal of the World Rabbit Science Association (WRSA). One of the main objectives of the WRSA is to encourage communication and collaboration among individuals and organisations associated with rabbit production and rabbit science in general. Subject areas include breeding, genetics, production, management, environment, health, nutrition, physiology, reproduction, behaviour, welfare, immunology, molecular biology, metabolism, processing and products. Pan-American Rabbit Science Site. Welcome to the world's longest running Rabbit Production Science Web Site!